We were worried that Sydney’s golden hour portraits at Buffalo Bayou might never happen. 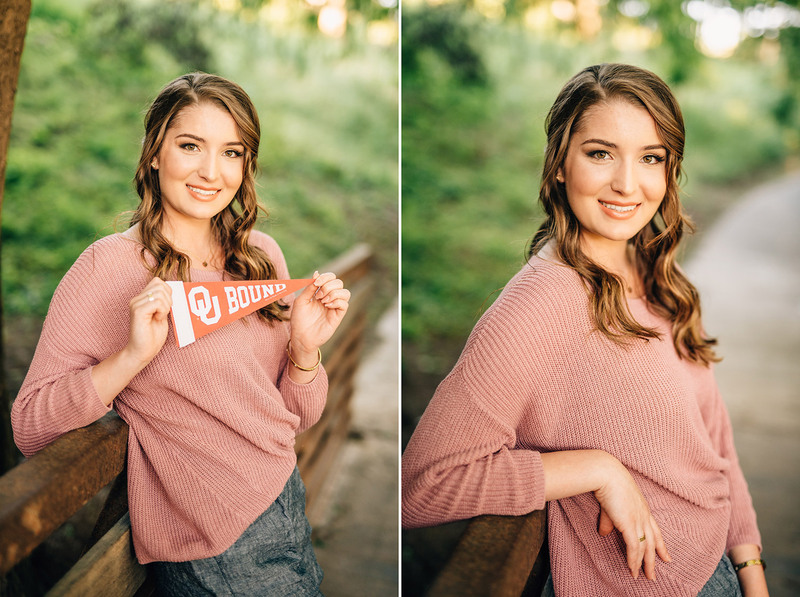 Sydney was very proactive this year and booked her session early in the fall, but rain, then fever, then more rain kept us having to reschedule her session. 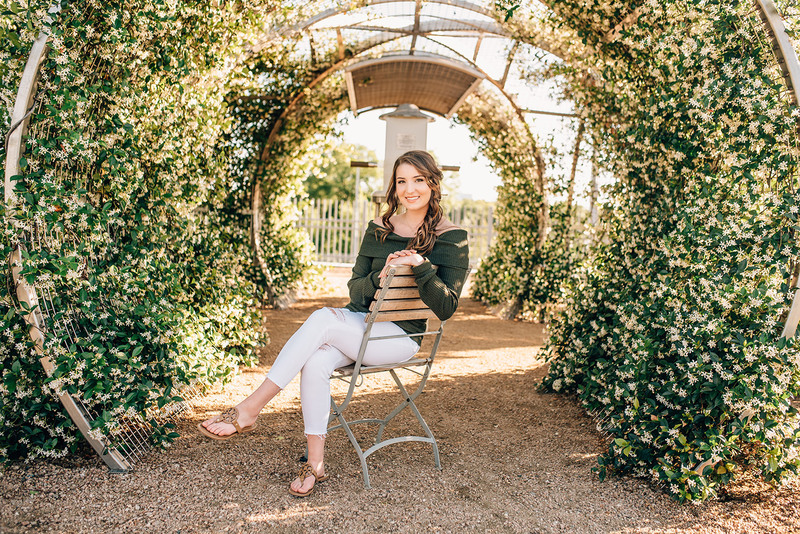 As a former horse rider, our original plan was to meet at the Houston Polo Club, but the day we arrived in late spring for her portraits, it was way to busy to get onto the grounds. 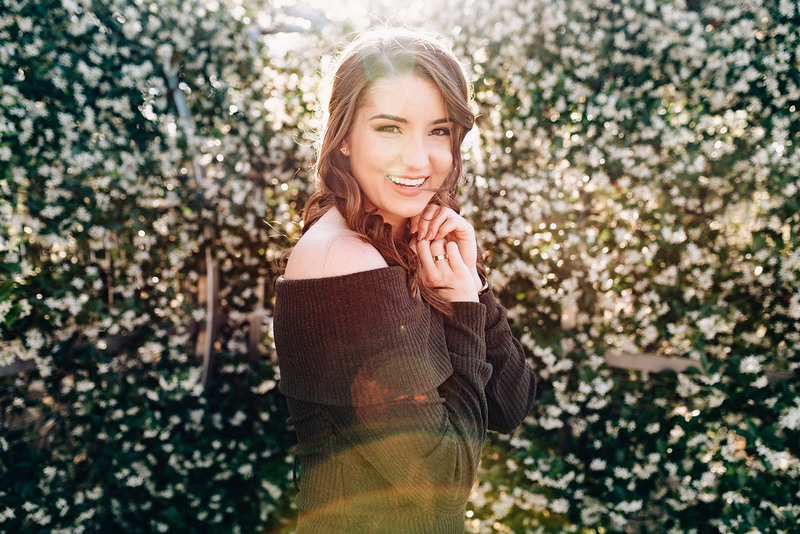 So we decided that golden hour portraits at Buffalo Bayou would be our best bet for beautiful senior pictures. I love how they turned out! My favorite part of our session was taking a new route through Buffalo Bayou. We stumbled upon a grassy, flowery hill hidden behind a row of trees. The light was just beautiful and Sydney was willing to walk into the brush. Her images from that area are some of my favorites from the entire year. Sydney’s family is good friends with Ashley’s, a senior I photographed from the Class of 2017. 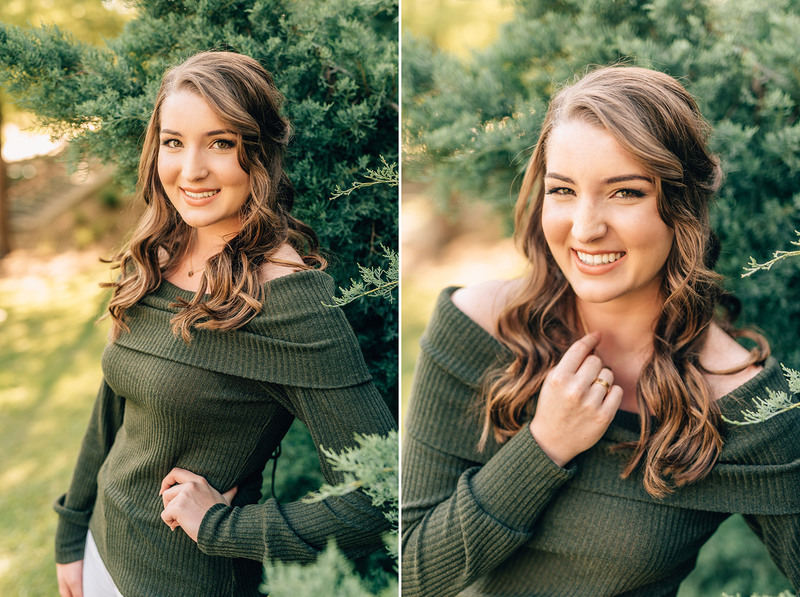 Sydney saw Ashley’s portraits and fell in love with the skyline and the gardens we used as a her backdrop. 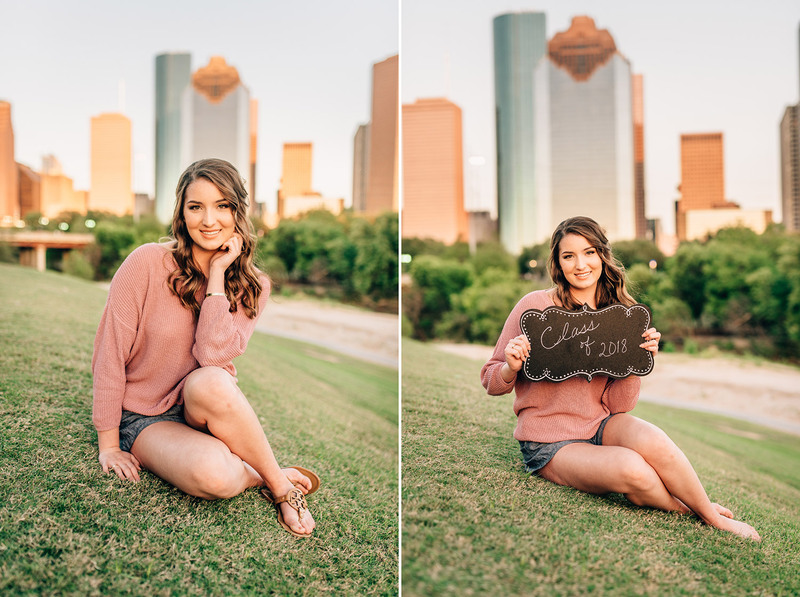 She asked to recreate some shots from Ashley’s golden hour portraits at Buffalo Bayou. If you’re wanting golden hour portraits at Buffalo Bayou, you can go there spring or fall for a beautiful sky and deep green foliage. But be sure to bring your walking shoes. The trail that runs through the park is miles long, and to get from one beautiful location to the next requires committing to a hike! If you’re going to explore Buffalo Bayou, be aware that others are enjoying the park as well. There is a wide sidewalk path that is meant for bikers, and a smaller path that is meant for walkers and joggers. It is best to keep to the smaller path so that bikers can enjoy their ride and avoid colliding with you! 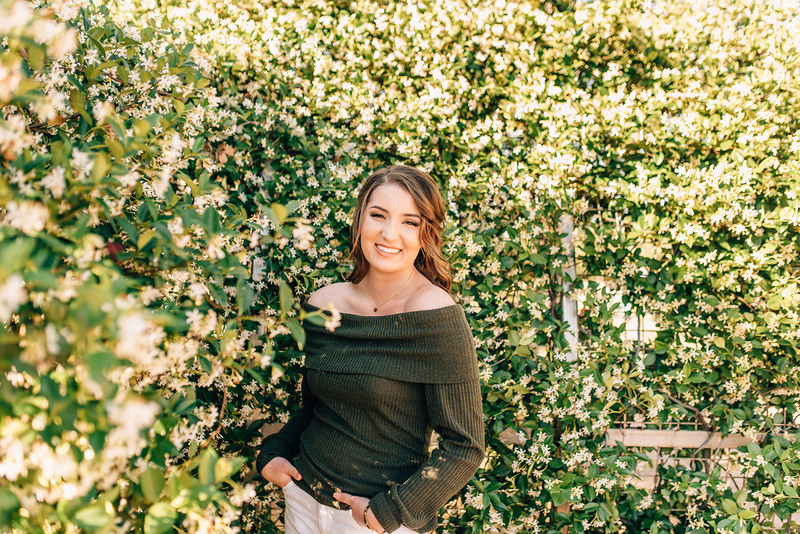 Would you love to have your senior portraits taken there? It is one of my favorite places to photograph! Talk with your parents and contact me if you’re ready to book your senior portraits! We’re also Houston wedding photographers check out our work!